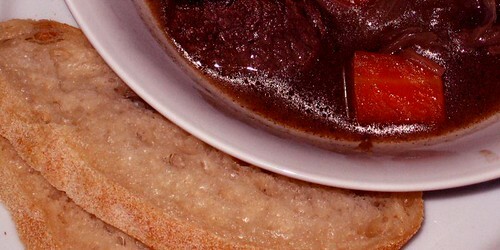 This is boeuf bourguignon, made using the recipe in the Les Halles cookbook; give or take. This is my second attempt at this, and both times it’s ended up with the liquid closer to brown than red. One of these days, I’ll figure out where I’m going wrong.